Professor Sara Chandler, Visiting Professor in Clinical Legal Education at London South Bank University (LSBU), has been elected to the Presidency of the Federation of European Bar Associations. A recent congress of the federation, held in Bilbao, saw Professor Chandler elected to the position of 2nd Vice President. According to the federation's rules of succession, she will take over as President of the organisation in 2017, becoming the first woman to hold the role in the organisation's 25 year history. Professor Chandler's election shatters a European glass ceiling and opens the way for female lawyers to participate more widely in leadership roles across the profession. The Federation of European Bar Associations is a professional organisation bringing together Europe's local law societies and national bar associations. It supports lawyers' rights and their freedom to act without undue interference from government. It was founded in 1992, when the Presidents of thirty major bar associations signed a charter to work together to discuss and debate issues commonly faced by European lawyers and to give individual lawyers the opportunity to learn from their international colleagues. Professor Chandler is a housing solicitor specialising in landlord and tenant law. She works in LSBU's Legal Advice Clinic, which provides free advice to members of the public in areas of social welfare law, particularly in housing, employment, social security and debt. Second year law students from LSBU work as volunteers in the clinic, assisting members of the public with legal research and advice, supervised by Professor Chandler and other Law Department staff. 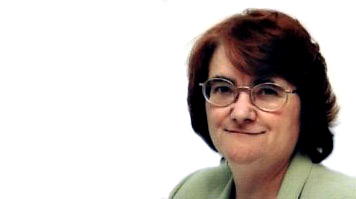 Commenting on her election, Professor Chandler said: "The Federation of European Bar Associations is a hugely important organisation for the legal profession, particularly at a time when European issues and politics feature high on the news agenda. I am looking forward to representing my colleagues across Europe and working with them to ensure the standing of the legal profession in Europe continues to grow."